Give now, so that when survivors are ready to speak, someone is ready to listen. Circle of Hope is a monthly promise of support to survivors across Whatcom County. Monthly donations provide DVSAS with a steady source of funding that is essential for planning ahead. When you join Circle of Hope, you are committing to helping survivors find safety, healing, and HOPE. You are reminding the community that everyone deserves to be safe. Through a Yearly Corporate Sponsorship, your organization can have a measurable impact on the lives of survivors across Whatcom County. Your investment helps us support individuals facing abuse as they find their way to self-sufficiency and well-being. Our corporate partners are not simply checking a box to mark an obligation completed. They are making our community a better place to live… for everyone. Please call 360.671.5714 or email us at info@dvsas.org for pickup/drop off. Thank you to every business and community member that has hosted an event or donation drive for us in the past! If you are interested in hosting on behalf of DVSAS, please let us know so we can assist in the process! Plan Ahead: Organizing an event takes time. Make sure you plan ahead and have plenty of time to get everything done. If you would like a DVSAS representative to be in attendance, please let us know at least 2 weeks ahead of time so we can accommodate your request. Keep us in the loop: We want to know about your event as early as possible so that we can help spread the word. For a public event, DVSAS will advertise on social media and in our newsletter. We can provide you with a logo and a DVSAS representative to speak to your guests about what we do! Take Pictures: We would love to share pictures from your event to help promote future events. Please share any party pics with us! If you need support or have questions about planning an event, please email us at events@dvsas.org or call us at (360) 671-5714. We can’t wait to hear from you. Want to double the impact of your donation? If you work at a company that offers corporate matching – it’s easy! Ask your company if they offer corporate matching today! Many employers in our area will match charitable contributions or volunteer hours made by their employees. Find out how you can leverage your gift to ensure everyone in Whatcom County has access to safety, support and hope! Below is a list of national companies that offer matching. This list is not comprehensive! If you don’t see your company listed, ask your HR department today. What if you could leave a legacy gift that would cost you nothing today but help survivors for years to come? Through planned giving, you can. Name DVSAS as a beneficiary in your will, estate, or life insurance. Donate your appreciated real estate, stock, or other high value assets. Along with avoiding high capital gains tax, you will receive a regular income for the rest of your life. 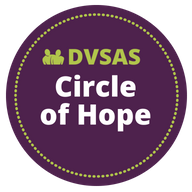 At the end of the trust, any remaining assets are donated to DVSAS. Contract your financial planner for more information.